Get news and information on the US Army, which is America’s major land warfare force. Find the news and stories on the history and formation of the modern US Army. Its roots trace back to 1775 in the Continental Army, which was formed to the fight American Revolutionary War (1775-1783). Then in 1784 it was replaced by the US Army. The US Army is known for being involved in the most significant wars and conflicts in which the world’s great powers are involved. Nowadays the US Army is taking action in war-torn countries such as Afghanistan and Iraq. 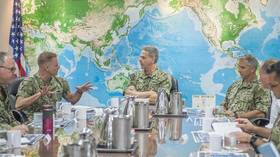 Don’t miss the news and updates on military actions of the US Army, as well as statements by former military leaders on their previous and future actions and cooperation with other states, such as the UK and France. Find the news and stories on the US Army’s defense budget, as well as soldiers recruited by it. 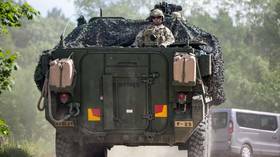 Read the news and stories on the unauthorized presence of the US Army in Syria. The US Army led an intervention in Syria, claiming they support the opposition of democratically elected Syrian President Bashar Assad. Visit RT.com to read news on the ongoing war in Syria and the actions of the US Army there. Finally don’t miss opinion pieces written by experts and authors for RT. A nuclear arsenal capable of destroying the US makes Russia the “only current existential threat” to Washington, US Army Chief of Staff General Mark Milley told lawmakers. The Pentagon has grounded its entire fleet of B-1B Lancer strategic bombers for the second time in less than a year after new dangerous flaws were found in its ejection system. 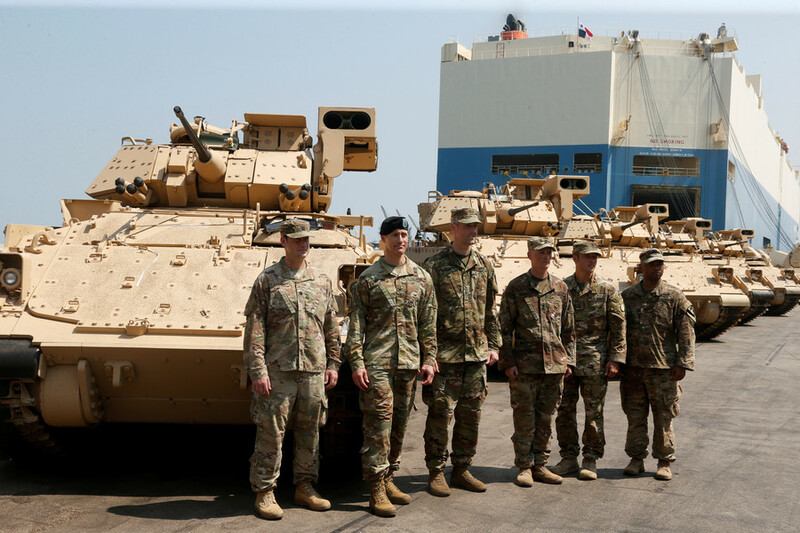 Frustrated by its allies’ lagging military spending, the Trump administration is reportedly drawing up demands that countries where US troops are stationed pay the full cost – and then some – for the ‘privilege’. 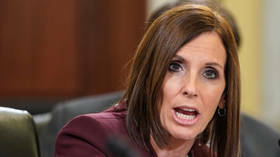 Sen. Martha McSally (R-Ariz.), the first female fighter pilot to fly in combat, told a Senate panel she was raped by a senior officer while serving in the Air Force but did not report the assault, as she did not trust the system.